Ever wonder which VCs are the best at spotting unicorn companies earliest? Wonder no more. See who the unicorn whisperers are below. 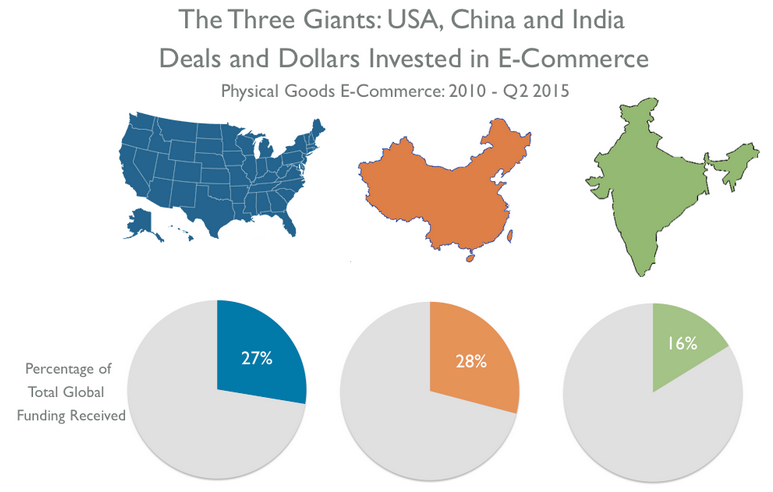 When it comes to eCommerce investment, it’s China, India, the US and then everyone else. The 3 markets account for 62% of global deal activity and 71% of total funding. Jet.com, the startup founded by Diapers.com alumni Marc Lore, launched today and although it projects big losses and competition from Amazon, it is also rumored to be in talks to raise financing at a valuation of 3 unicorns. So we wanted to anonymously ask you and 88,000 of our closest friends what you think of Jet’s prospects. Simply click below and we’ll report the results in the next newsletter. Will Jet.com live upto the hype and become a credible competitor to Amazon? For our corporate VC benchmarking webinar next week, we’ve been digging into the performance of several notable corporate VCs. Today, we refreshed our Google Ventures teardown and see the CVC arm of Google is slowing down their investment pace while exits have ticked up as the company’s portfolio matures. More graphs and charts about their industry and geographic strategy than you’ll know what to do with. We’re the most trusted source for VC and startup data by the media (seriously). And it’s always good to see how our data intersects with larger stories our media friends are working on. Here are a couple that recently caught our eye. Connie Loizos of TechCrunch highlights how startup employees are wising up. Bloomberg’s Adam Satariano & Jing Cao discuss how fear is trumping greed for Valley VCs. Paul Mozur of The New York Times digs into Asia’s startup boom. Sarah Lacy of Pando says we need to stop talking about the sharing economy. 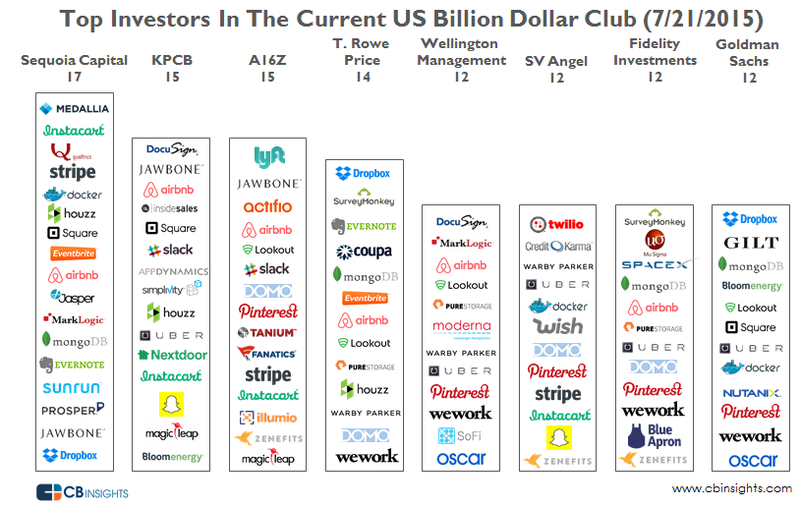 Which investors are in the most unicorn companies and more importantly, which investors got into these companies earliest? Your daily dose of unicorn data is here.